Epidote is an aluminum-iron mineral that can be found in either crystal or stone form. The stone was first described in 1801 by R.J. Hauy and was named after the Greek word meaning to “increase”. They are commonly found in Norway, U.S.A, and Brazil, which has been known to have the nicest crystallized forms of Epidote ever seen. Epidote is a strong enhancing stone and is one of the very few stones users should be cautious with when carrying it with them. Epidote will enhance anything, good or bad. If you are having a bad day and carrying Epidote on you, I would highly urge you to remove that piece and set it aside until you posses more positivity. However, if you are having a fantastic day filled with love, positivity, and happiness, Epidote is one stone that can really bring your mood higher than you may have thought was even possible. Just be cautious and deeply connected with yourself when working with this stone. Doing so, you’ll be able to notice even the most subtle of differences in yourself. Epidote is very much like a magnet in the sense that it attracts. On top of attracting the energies around you and your environment, it will also help attract your desires that you programmed into the Epidote. It mainly attracts abundance, prosperity, and creativity, but can also be programmed to assist in finding love and relationships. Epidote does not provide a “free ride”, it very much is a karma-based stone that attracts what you output. Epidote pairs well with a few stones, one such stone being Moldavite. Epidote accelerates the Moldavite’s transformation process, attracting synchronicities along with it. For people who do not like removing their Epidote even on their worst days, carrying Amethyst will grant you additional protection of unwanted energies. 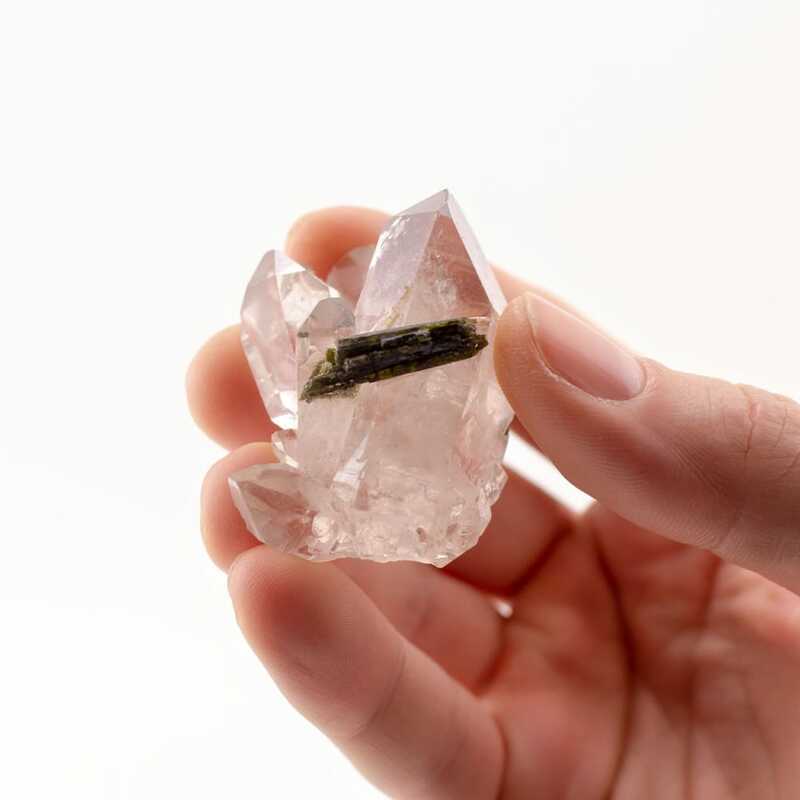 When working on unlocking third eye capabilities, Epidote paired with Herkimer Diamonds or Phenacite will help in achieving very vivid visionary experiences.